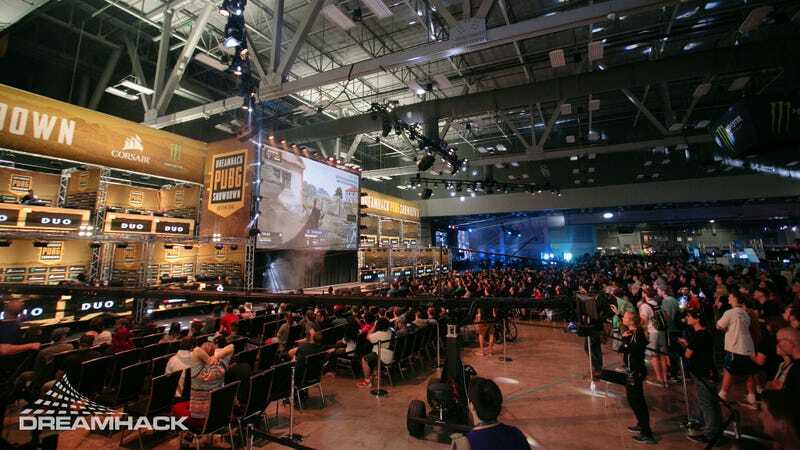 This weekend at DreamHack Austin, many squads will face off in PlayerUnknown’s Battlegrounds. And they’ll be doing it on a fantastically massive stage that highlights the theatrics and action of a 64-player, 16-team battle royale. Yesterday was an exhibition, where challengers could take on noted PUBG streamers Dr. Disrespect and Shroud. Today and tomorrow, 16 teams who qualified previously or through the on-site B.Y.O.C. (bring your own computer) qualifiers will populate these many squares, and fight round after round until one is declared the overall victor. For me personally, I’m still lukewarm on PUBG as an “esport.” But I do love the potential it has for entertainment, especially when it comes to giant arenas like this one. Battle royale matches are, by very nature, bigger than most competitive games. 64 players is a lot to keep track of, and you have to somehow pack them all under one roof, and then make it presentable to both a live and streaming audience. A shot of the arena before the crowds were let in. I talked to Mike Van Driel of DreamHack earlier today about the stage, which he says is the first of its kind the esports production company has attempted. It’s wider than anything they’ve ever built, and it took them from Monday through Thursday evening to build it. But the reason why, he told me, is simple. “We want to allow players to have a good playing condition while having a traditional stage,” said Van Driel. 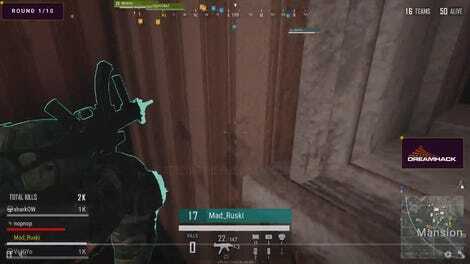 As he tells me, PUBG as a competitive game is still “super new,” and so there’s a lot to be done yet in the space. Other productions have taken their own stabs at the massive arena, but DreamHack’s is both impressive and straightforward. Each booth houses four gaming PCs for four players, with their squad name and logo displayed on the front. It might seem gaudy, but it was the talk of the town. Most folks I talked to today, from game developers and passing spectators to players of other games, all mentioned the “giant PUBG stage.” So maybe the best answer to “why build this” isn’t even for practicality or production. If you have the resources, why the hell not?